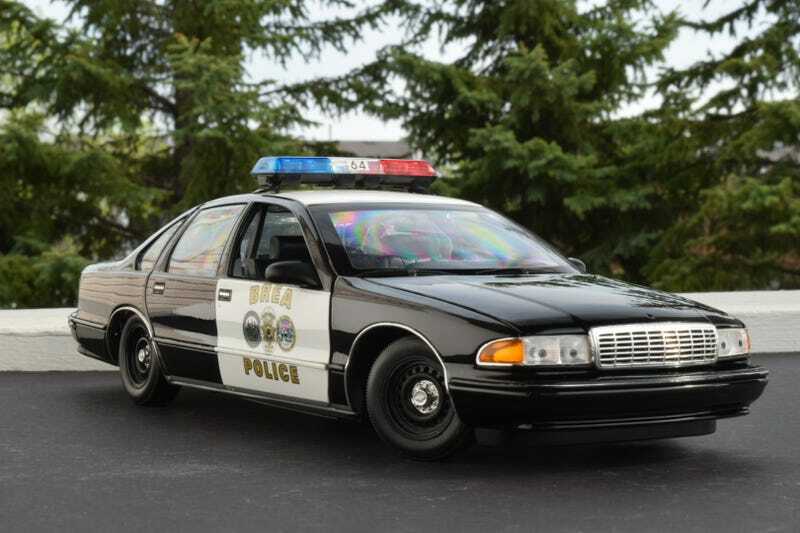 I’ve shown this old UT Models Caprice before in the Chicago PD livery, and now here it is again in Brea, CA guise, which is a generic LA-area black and white. I guess this the accepted police car livery, but I really wish more communities would do something different. Our houses look the same, our strip malls look the same, we gotta have the same looking police cars too?